Mitee-Bite Products has introduced the Loc-Down™ System. 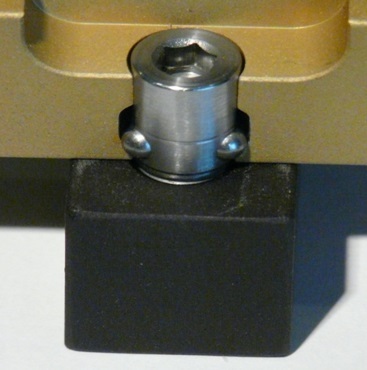 This system offers a simple way of quickly attaching and removing plates or workpieces from a sub-plate with a simple ball-locking mechanism. The System saves the time required to completely remove a bolt with minimal tooling interference. Primarily designed to quickly locate and secure large aerospace parts for high speed machining, it can be implemented into many designs that previously required a standard bolt. The Loc-Down develops 100 lbs of holding force for every ft/lb of torque.